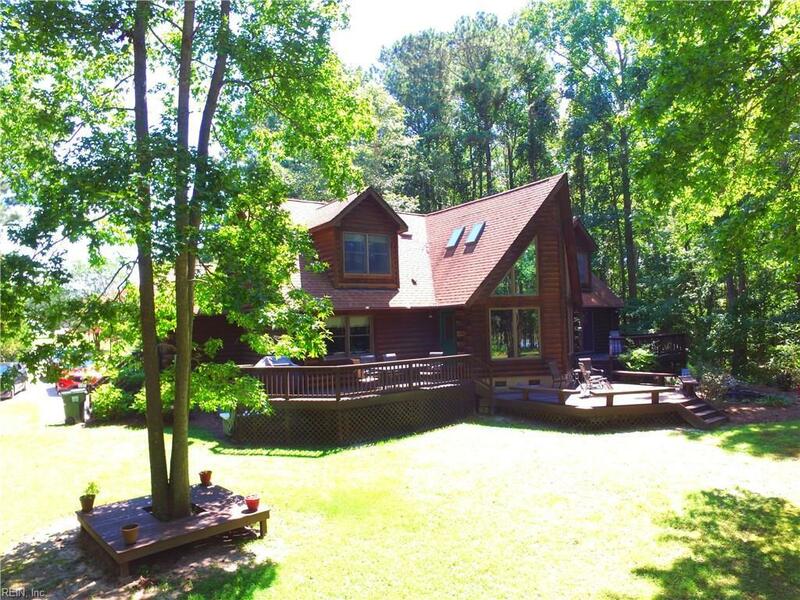 23242 Pearl Ct, Isle of Wight County, VA 23314 (#10205079) :: Abbitt Realty Co. 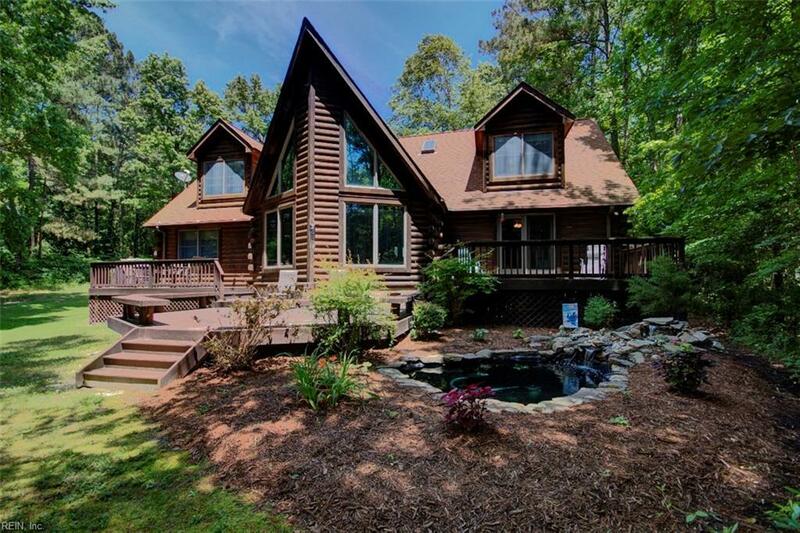 This gorgeous contemporary custom log home located on Brewers Creek is a must see!! Kitchen boasts Heartland Appliances with 3 separate functioning ovens and a Bosch dishwasher. Center Island has butcher block top and prep sink!! Built in wine rack with bar. Open floor plan and deck makes for perfect entertaining! Great room has cathedral ceiling with 4 skylights and floor to ceiling windows with water view! 2 double sided stone fireplaces located in great room and Master bedroom which also features tiled accents around jetted tub in bathroom, walk in closet, and an awesome deck. Upstairs has a large loft area with pool table and wet bar. Large bedrooms on either end with full bath in between. Home is wired for Back Up Generator! The serene, private setting of the amazing yard is the perfect atmosphere for family gatherings or quiet nights on the beautiful deck! Yard also has electric dog fence! This home truly has too many amenities to mention!